Woodlynde School is recognized as a leader and authority in the field of learning differences and, through its Literacy Institute, serves as an important resource for educators and neighbors beyond the school community. Through the Literacy Institute, Woodlynde is one of a select few Wilson® Accredited Partner Schools in the country. This positions the school to provide not only research-based instruction for students in the Wilson Reading System®, but also high-quality professional learning for the Woodlynde community and the greater Philadelphia area. for parents, professionals, and the greater community. Past Literacy Institute events have included: a lecture with Dr. Ned Hallowell, psychiatrist, best-selling author, and a leading authority in the field of ADHD; a screening The F.A.T. City Workshop and discussion with the related-book’s author, Dr. Richard Lavoie; and a panel including Dr. Tamar Chansky, psychologist and founder and director of the Children's and Adult Center for OCD and Anxiety. on the Wilson Reading System and how to support their student in all aspects of literacy. in the Wilson Reading System. Woodlynde School is currently one of a select number of schools in the country designated as a Wilson Accredited Partner. for Woodlynde students as they gain skill in decoding/encoding, word recognition, and reading fluency. for word-based literacy needs (decoding and spelling) for all Woodlynde students early in September to determine those students who need and will benefit from intensive instruction in the patterns of our language individually or in small groups using the Wilson Reading System or Just Words®. and supervision of student progress in the Wilson Reading System (provided daily in grades K-5 and based on screenings and assessments for students in grades 6 - 12). as students, parents, and teachers work together to enhance comprehension. Certified Teacher; K-12 Reading Specialist Certification, Wilson Teacher-Trainer; University of Pennsylvania, M.S. in Education, Reading and Literacy; B.S. in Education; Previously reading consultant at Benchmark School in Media, PA, and in private practice as The Strategic Reader in Paoli; Speaker at national conferences for the International Dyslexia Association and the National Association of Independent Schools; Board member for the Pennsylvania Branch of International Dyslexia Association; “Take the Lead” Award from the Girl Scouts of America; at Woodlynde since 1987. All Literacy Institute Speaker Series events begin at 7:00 p.m. and take place at Woodlynde School. Thank you to The Balcer Family for their generous support of the 2018-2019 Literacy Institute Speaker Series. Dr. Frances Sutherland, a nationally-recognized psychologist and author from Bryn Mawr, will make executive functions and ADHD/ADD understandable for all of us when she speaks at The Literacy Institute on Wednesday, January 30. Dr. Sutherland’s book, From Morning ‘Til Night: Perspectives on ADHD and Its Management, will soon be published. Parents, educators, young adults, and other professionals will have a clear understanding of what these behavior patterns mean and how a multifaceted plan affects positive, family-oriented improvements. David Geurin, educational leader from Bolivar, Missouri, inspiring and insightful blogger, and author of Future Driven, will inspire us on Tuesday, November 13, with his reflections on how to prepare students to thrive in an unpredictable world. His weekly blogs are always “must reads” even when your schedule is jam-packed, because he makes you think of new ways for meeting the needs of and acting proactively for our children. Be prepared to learn “the five questions every kid is trying to answer” from an educator and parent who leads educators and students to a meaningful, self-directed future. 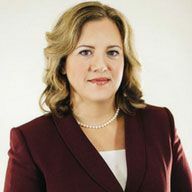 Dr. Cheryl Chase, a licensed clinical psychologist and host of the website “Chasing Your Potential,” specializes in executive functions and providing the tools for parents, children, and young adults to understand their learning styles and develop the skills to achieve their potential. She is returning to The Literacy Institute Speaker Series on Tuesday, October 23, to share her expertise related to executive functions with an emphasis on the unmotivated child or teen who may also be dealing with low-frustration tolerance. She weaves humor and practical advice into her presentations and shares ideas based on sound research, experience as a professional, and real-life experience as a parent. As a Wilson® Accredited Partner, The Literacy Institute at Woodlynde School offers professional learning for educators that include Wilson Reading System® workshops and certification courses. This newsletter features information from The Literacy Institute on upcoming events and the latest in Literacy research.